We arrived into the San Francisco area yesterday afternoon and coming through the Robin Williams tunnel and out the other side to the extreme beauty of the Golden Gate Bridge was nothing short of spectacular. It was a long driving day and finally seeing that beautiful bridge was a bit surreal. 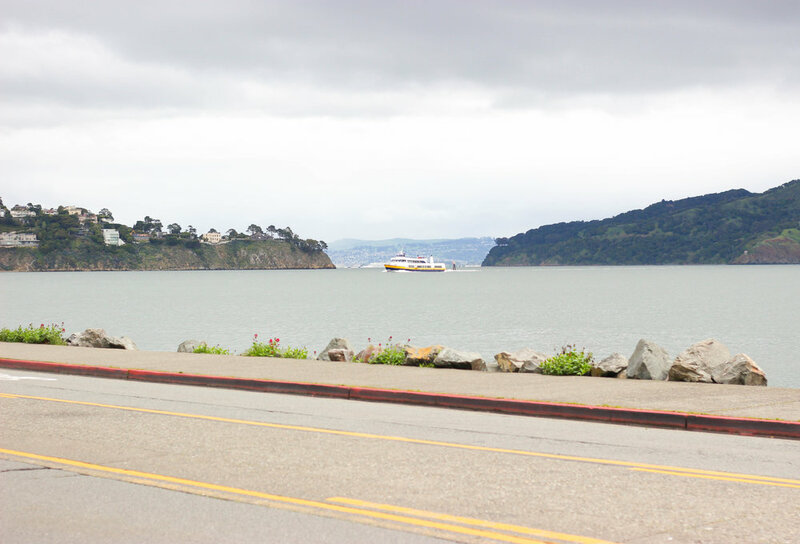 Today, we took a trip over to Sausalito to stretch our legs from the driving day and do some exploring (our favorite!). 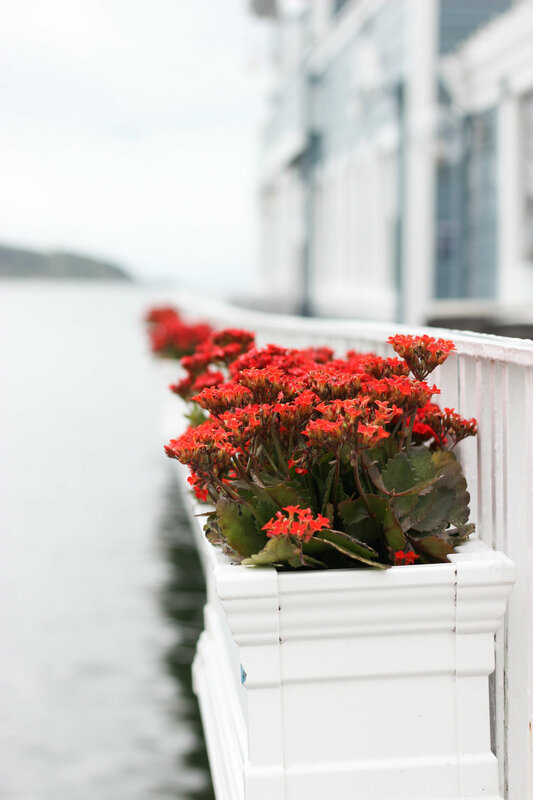 We parked on one end of the main drag and walked up along the water until we ran into our dream house and then crossed the street and walked back to our truck. Our favorite side was the water side (of course) and just below the sidewalk was a rugged pathway right on the water that every once in awhile would get a wave from a boat and almost wipe out our path. Phoebe was not amused but tried to be brave and kept on walking. Our dream house is a one story sandwiched between two other bigger houses with a deck facing the bay and windows stretching from one side of the house to the other. It looked simple and serene. I haven’t looked it up on Zillow yet but I don’t even have to search to know that is in the millions. We enjoyed our quick jaunt and can’t wait to go back for another adventure (and maybe some ice cream) soon!